Found in the West Midlands, Stafford is the county town of Staffordshire. With a population of over 120,000 in the wider borough area, there is a diverse array of property that encompasses everything from elegant detached homes to 1930s terraces and flats in converted factories. At My Home Move Conveyancing we have been developing our knowledge of local markets since 2002, helping us deliver an outstanding specialist, fixed fee conveyancing service to our clients in Stafford. When buying or selling property in Stafford, it will be necessary to instruct the services of a lawyer to complete the legal work on your behalf. 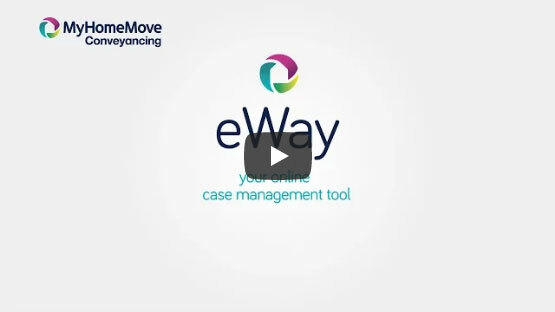 My Home Move Conveyancing offer an excellent reputation for providing our clients with exemplary, award winning customer service, our innovative use of technology and intimate knowledge of local markets. Our conveyancing service comes for a fixed fee, so you’ll know exactly what you’re going to pay from the start, with no hidden extra fees to worry about. What’s more, if you don’t end up moving, you won’t have to pay us a thing. We will assign a dedicated conveyancer to your case, who will oversee everything for you from start to finish, providing regular updates on your progress and acting as a daily point of contact. At My Home Move Conveyancing we are proud to assist homebuyers across the Stafford area, from areas close to the town centre such as Rowley Park to Castletown with its terraced cottages, family-friendly Eccleshall and Milford with its close proximity to Cannock Chase. The average house price in Staffordshire is £141,880. During the past year most sales in Stafford involved semi-detached properties, which went for an average of £154,939. Detached and terraced properties sold a similar amount, fetching £236,589 and £129,586 respectively, while the relatively small number of flats went for £90,019. Lying on the banks of the River Sow, Stafford originally grew up as a strategic crossing point. The town offers a great location by the Cannock Chase Area of Outstanding Natural Beauty, while Stafford Castle has stood atop a westerly hill for over 900 years. Stafford also benefits from a strong location within the West Midlands, close to Wolverhampton, Stoke-on-Trent and Birmingham. A close proximity to the M6 motorway also ranks as a plus point for Stafford, which offers easy access to two junctions of a road that heads south towards Birmingham and north towards Liverpool and Manchester. Stafford railway station has regular train services north and south, with a trip to Manchester Piccadilly possible in less than an hour and down to London Euston in under an hour and 20 minutes. Birmingham Airport is less than 40 miles away. Families with children will be pleased at the selection of schools, with primary options including Oakridge Primary, Colwich C of E, Barnfields Primary and Leasowes Primary. Among the notable secondary choices are Walton High, Blessed William Howard Catholic School and Stafford Sports College. There is a large campus of Staffordshire University that can be found in the east of town, which specialises in computing, engineering and media technologies, and also runs teacher training courses. All properties in Stafford will fall within one of the following council tax bands.